Byron’s description of the bane of Valletta is probably a refrain tourist guides recite several times a day. It is not, however, something I would have understood as a child growing up in the city. To me at the time, stairs – and there were many, including 90 alone from the street to our flat – were an endless source of amusement. As Richard England writes in his introductory essay to this book, stairs invite playfulness and expression. It is, perhaps, not surprising that memories of childhood homes often involve stairs, and playing on or under (taħt it-taraġ) them. In essence, stairs exist simply to connect spaces vertically. That, however, is like saying that clothes exist to shelter the skin. Stairs are among the most enduring parables of things like social mobility, individual aspiration and mood. 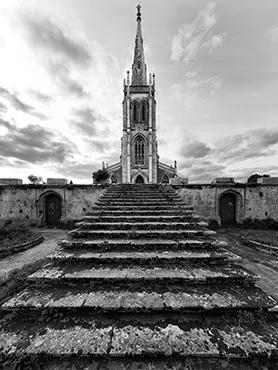 They are one of the very first metaphors to be written in the Maltese language – Caxaro’s 15th-century kantilena describes love lost as a bottomless pit with broken stairs. 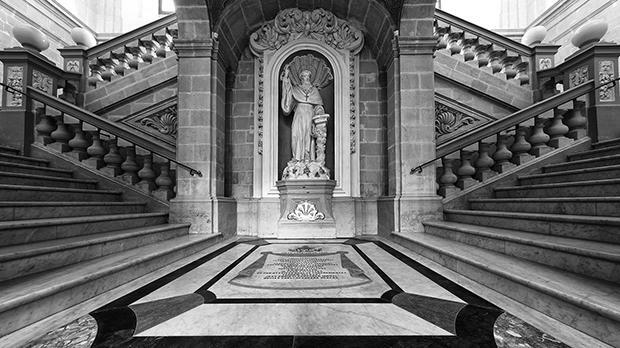 The Maltese expression for a girl getting her first period is ‘waqgħet it-taraġ’ (she fell down the stairs), and the image of Dom Mintoff chasing up the steps of Castille is key to understanding his political persona. Ritually, too, stairs matter, as anyone who has watched pilgrims in Rome, or devotees of the monkey-god Hanuman in India, knows. 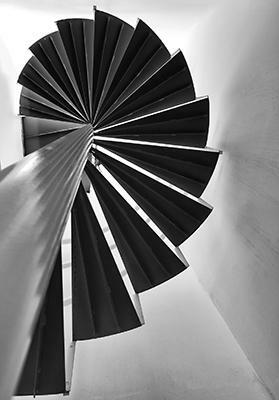 In architecture, stairs connect, often in ways that seem to achieve the spatially impossible. (Maltese garigori are a case in point.) 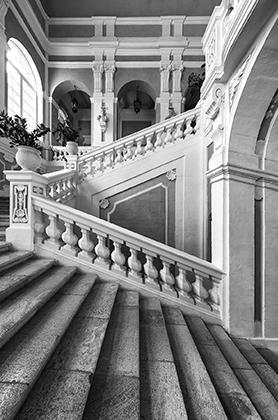 Conrad Thake, a professor of architectural history at University, outlines how, during the Renaissance period, stairs gained a new significance as fully-fledged architectural components that were often displayed prominently in buildings and public spaces. Thus, for example, Michelangelo’s masterclass in the vestibule of the Biblioteca Laurenziana in Florence. 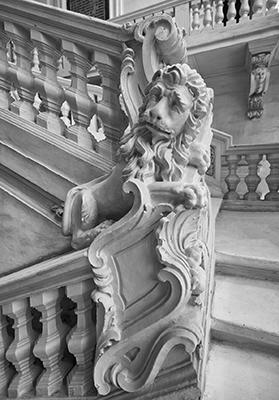 The highest incarnation of this idea eventually came in the form of the many magnificent set pieces of the Baroque period, when stairs often served as grand theatrical gestures. Finally, what better than the stairs of Oscar Niemeyer to remind us that the 20th century was not about a sparse functionality? This, then, is why this book is not about horizontally-placed slabs that divide vertical distance into manageable bits. It is also why photographer Charles Paul Azzopardi (a medical specialist, by profession) was faced with a task that proved much more daunting than his previous one – taking photographs of the flat-faced portals of Valletta was one thing, doing the same for objects that project on different planes, both spatially and in terms of meaning, is quite another. That he pulls it off so skilfully, and in many cases with considerable artistic flair, is to his credit. The book is somewhat arbitrarily divided into eight sections: antiquity to medieval, vernacular, palatial, Baroque, colonial, public spaces, domestic and modern. While it is obvious that the types cross-cut (for example, there is such a thing as a Baroque staircase in a public space, and the vernacular can also be domestic), the typology by and large serves its purpose of giving the volume some structure. Throughout, the feeling is that we are dealing with a rich heritage, and one that is not limited to a past when lifts and escalators were unknown. So much so, that even a book as hefty as this one had to leave out very many gems. I missed, for one, the elegant stairs to the Testaferrata villa in Tas-Silġ, now incorporated in the Discalced Carmelite complex. This, however, is an asset rather than a limitation, as the reader is tacitly invited to look around for added value. Certainly what is included exceeds the promise of what is yet another of Kite’s handsomely-produced books. If one must, my list of favourites includes the monumental staircase by Carapecchia at the Inquisitor’s Palace, that of the Augustinian Priory in Rabat, the staircase at the Auberge de Castille (incidentally, titla’ t-taraġ ta’ Kastilja is a byword for winning an election), the stairs to the Bibliotheca, the sequence of steps that skirts the church of St Lawrence in Vittoriosa, the concrete torture that awaits bathers at Għajn Tuffieħa, and the clever Escheresque design by Architecture Project in a house at St Barbara Bastion. Thake’s itinerary at the end of the book is, of course, much more comprehensive and informative than mine. Like all good books, Staircases of Malta contains another yet-to-be-written. It is not just cursing Byrons who people stairs. The steps of Valletta have recently become evening hangouts, complete with cushions and candles, in at least three streets in the city. So have the Saqqajja stairs in Rabat. 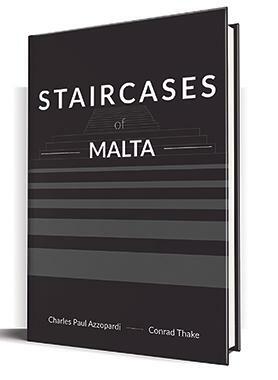 Still, that’s another topic altogether, or maybe Thake’s and Azzopardi’s book encourages us to people our stairs thoughtfully.